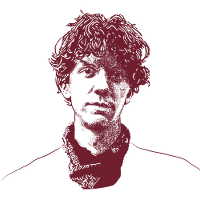 Documents allegedly revealed by Jeremy Hammond have been reported on worldwide since 23 June 2011, when Lulzsec announced the release of a cache of documents from the Arizona Department of Public Security. A second group of documents, from the private intelligence company Stratfor, was published by WikiLeaks in collaboration with 29 international media partners as the Global Intelligence Files in February 2012. This group of documents can be viewed and searched online. The documents are expected to produce many more stories as journalists continue to search this database. Below is a list of those revelations divided into two categories, complete with links to documents and relevant articles. Lulzsec announced the release of files from the Arizona Department of Public Safety on 23 June 2011. In an accompanying statement, the group explained “We are targeting AZDPS specifically because we are against SB1070 and the racial profiling anti-immigrant police state that is Arizona.” SB1070, and similar laws in several other US states, allow police to stop anyone they suspect of being in the country unlawfully and demand to see proof of their immigration status. These laws are by their very nature discriminatory in the way they operate. Within the Arizona documents are police circulars that express highly pejorative sentiments about immigrants and discuss US marines moonlighting on unofficial border patrols. Another group of memos discusses electronic tools police are advised to be aware of, including mobile phone apps designed for members of the public to use to record their encounters with law enforcement. Other documents show a police interest in groups outside of society’s mainstream, whether or not they are law-abiding. Groups profiled in the Arizona documents include Outsider Motorcycle Gangs (“many of these OMG members were not only retired or inactive military, but were also continuing their training and/or careers as Government contractors”), Sovereign Citizens groups and even Jews for Jesus. While the extent of Stratfor’s consultancy services was largely unknown before internal emails were made public in 2012, the company highlights some of its newsletter content on its website and publicises the appearances of its staff members in the mainstream media. The standard of Stratfor’s research has been the subject of criticism and, where the company’s analyses have been reported in the mainstream media, they have not always proven to be accurate. That said, the Global Intelligence Files contain a number of important revelations. They report that WikiLeaks Publisher Julian Assange is the subject of a sealed US indictment, something that has been speculated elsewhere. They cast further light on the US government’s war on whistleblowers. Assertions that Pakistan’s intelligence services were aware of where Osama Bin Laden was living have been borne out by subsequent reporting. But even where Stratfor’s claims have yet to be corroborated, information about how the company operates and who it works with, and for, is still highly significant. When major multinational corporations like Coca-Cola and Dow Chemical pay a private intelligence firm to spy on activists, that is clearly newsworthy regardless of whether Stratfor was able to accomplish those tasks. Similarly, what sources in governments and corporations around the world are happy to tell Stratfor in confidence is valuable regardless of its accuracy. In December 2011, Anonymous and Lulzsec-affiliated hacktivists, allegedly including Jeremy Hammond, infiltrated Stratfor’s servers and, over the course of several weeks, unearthed more than five million emails dating back to 2004. Here’s some of what we now know about Stratfor’s intelligence work. Stratfor provides research, intelligence and analysis for a wide variety of customers in the private and public sectors. Organisations whose emails appear in the Global Intelligence Files include US government agencies like the Department of Homeland Security, the Marines and the Defense Intelligence Agency; defence contractors Lockheed Martin, Northrop Grumman and Raytheon; and giant corporations such as Dow Chemical and Coca-Cola. At least 13 Canadian federal departments subscribed to Stratfor’s services, some of whom neglected to declare their share of expenditure that in total amounted to at least half a million Canadian dollars. In February 2013, Chief District Judge Loretta Preska refused to recuse herself from Jeremy Hammond’s case, despite the fact that her husband Thomas Kavaler was a Stratfor subscriber whose professional email address can be found in the released documents. The Global Intelligence Files include several instances of corporations who are using Stratfor for consultancy work to provide intelligence on activists or competitors. The Dow Chemical Company is one of the largest chemical companies in the world and the owner of Union Carbide, the company responsible for the 1984 Bhopal disaster. The leak of toxic gas from a pesticide plant left thousands of Indian citizens dead and is still regarded as the world’s worst ever industrial disaster. Litigation resulting from the disaster is still ongoing. Perhaps more seriously, a series of emails show that in 2009 Stratfor planned to set up a “captive strategic investment fund” with former Goldman Sachs managing director Shea Morenz. The offshore StratCap structure eventually created for this purpose was nominally independent, in order to fend off accusations of insider trading, but in a 2011 email, Stratfor CEO George Friedman wrote to employees counselling them, “Do not think of StratCap as an outside organisation.” StratCap was intended to start operating in 2012. In the summer of 2012, many of those searching the Global Intelligence Files noticed a large volume of emails mentioning a surveillance system called Trapwire. The independence of Stratfor’s frequent recommendations to clients was brought into question by another document in the email cache: a 2009 Partnering Agreement with Abraxas, the vendors of Trapwire, guaranteeing Stratfor an 8% commission for “introductions” to new Trapwire purchasers. While the majority of Stratfor’s research appears to be based on publicly available sources, the company places a great deal of importance in its internal and external communications on its ability to tap its own network of well-informed sources. Most of Stratfor’s sources seem to be journalists or diplomatic personnel, though the Global Intelligence Files do include several references to sources that genuinely appear to be highly placed. These occur most often in the emails of the company’s Vice President for Intelligence, Fred Burton. Among Burton’s claims are that Israeli Prime Minister Benjamin Netanyahu was a source of his between 2007 and 2010. In another email thread, Burton claims to be able to obtain information from the aftermath of the raid on Osama bin Laden’s Abbotabad compound from sources in the US intelligence community. Furthermore, Burton’s assertion that “We have a sealed indictment” against WikiLeaks founder Julian Assange appears to rely on information from non-public sources, which Burton identifies with on a personal level. Stratfor is just one player in a growing privatised security function in the United States. Intelligence outsourcing has grown enormously in the United States since 2001. Estimating even the number of contractors working in the US intelligence community and paid public funds is not easy, but in 2013 the Office of the Director of National Intelligence confirmed that almost half a million private contractors held the highest level of security clearance. There are several instances in the Global Intelligence Files of Stratfor employees expressing an affinity with other actors in the private intelligence industry, who are performing various functions for the US state as contractors. These range from former Blackwater employee James F. Smith who describes his off-the-book missions in Libya and Syria to the Serbian “revolutionaries for hire” group CANVAS, who admit to accepting funds from US government sources to coordinate and advise civil society movements in Venezuela and elsewhere. Emails in the Stratfor cache reveal what appear to be an inappropriately close relationship between the Austin, Texas-based company and employees of Austin Police Department and Department for Public Safety. In 2011, a Texas DPS agent seems to have been briefing Stratfor on information about local Occupy protesters gained while working undercover. The relationships between the organisations were such that, also in 2011, the Austin Police Department staged a demonstration using live explosives for Stratfor employees near Austin-Bergstrom Inter­national Airport.